oh, those poor moorhen chicks are so ugly they're cute. :) love the egret shot! The 'Ugly Duckling' story springs to mind. 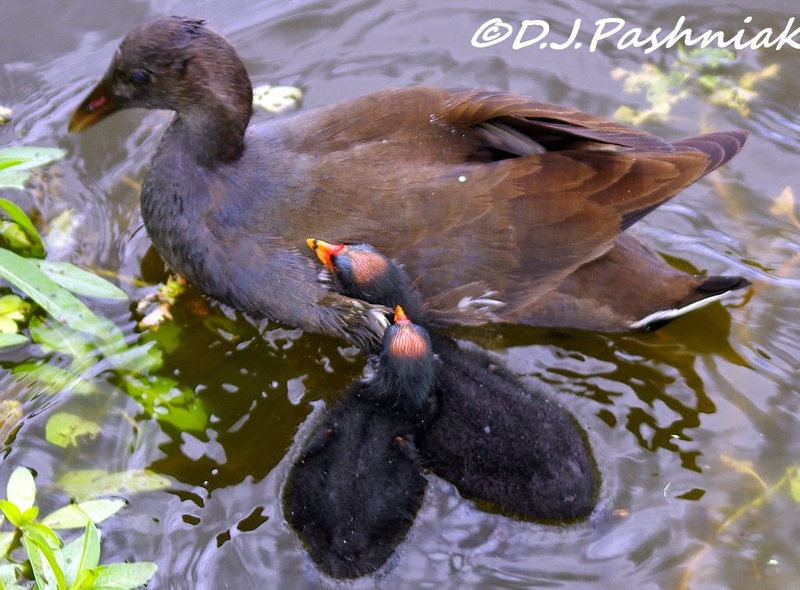 Have to agree with the others regarding the moorhen chicks -- definitely so ugly they're cute!! What a beautiful park!! Great post and photos as always, Mick, thanks for sharing!! It is a pretty spot. I like the egret and the moorhens chicks are adorable to me. I love them. Great sightings.. Have a happy week! What great photos! The fuzzy moorhens are what my grandma would have called "so ugly, they're cute!" 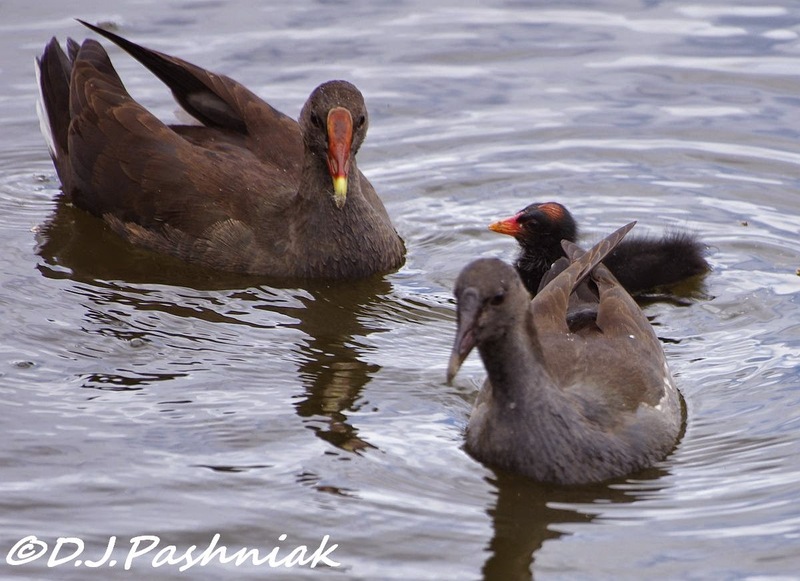 I really love your photos of the moorhens! Luckily for the chicks they'll be a little better looking as adults. :) The Intermediate Egret is a beauty! These lovely birds do not live anywhere near my neck of the woods and would be a rare find. But I must say the Intermediate Egret looks very much like the herons I see often … were it not for the pure white of its feathers. Beautiful photography of nature's gems and love the babies! 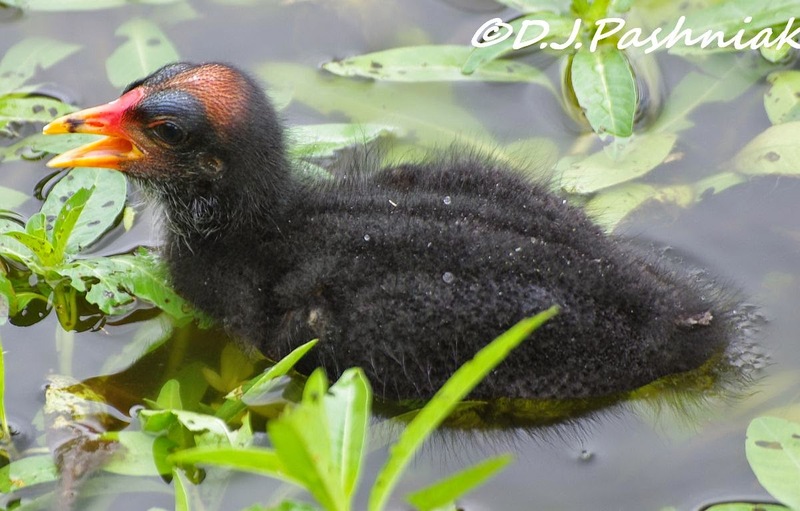 Isn't it funny how those moor hen chicks have bright red beaks which seem to disappear by the time they are juveniles, yet come back in adulthood. Nature is certainly strange and wonderful. Lovely images! We stopped here for lunch on the way up to Hervey Bay back in 2013. Unfortunately we didn't have time to explore. That Intermediate Egret could be mistaken for a Little Egret. Until that is someone studies the books to see the Intermediate has yellowish legs with dark feet and the Little Egret the opposite - dark grey legs with bright yellow feet. All chicks remind me that the long time ancestors of birds are dinosaurs. Cute moorhen chicks and the egret is so beautiful! You had a good day despite the weather! 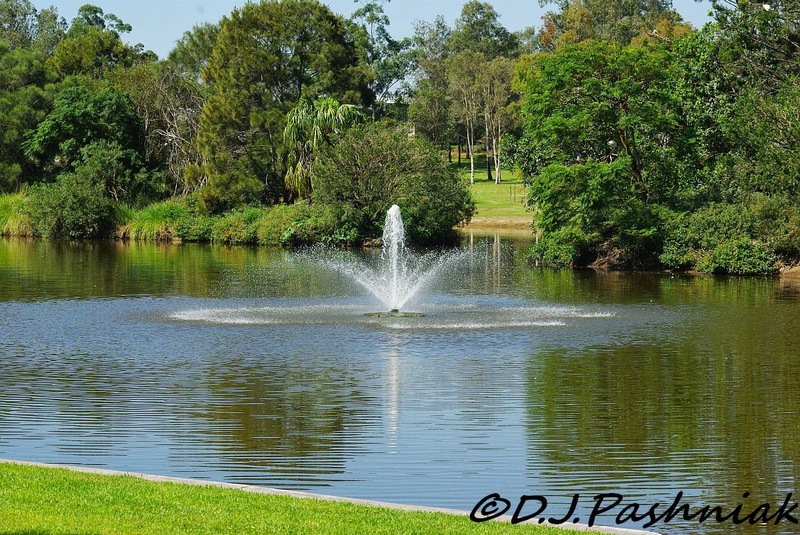 Great images of the park. Our Common Gallinule (Gallinula galleata) is very similar to the Dusky Moorhen and those tiny black fluff balls are, indeed, "so ugly they're cute". The Intermediate Egret is a beauty. The Egret picture is fantastic and the young so cute. how wonderful to come so close to the moorhens. We use to have a couple here but it is impossible to get close to them. Delightful captures Mick. I agree with your comments about the baby moorhens being cutely ugly! Terrific captures! I think the babies are super cute! A beautiful park and lovely shots. Those baby Moorhen are not and that pretty at this stage but cute. Great shots of the moorhens. We have them on our dams and the babies always look like ugly ducklings compared to the ducklings themselves. Beautiful park with such lovely birds. Wonderful photos! Loved the baby moorhens! Fun and different post from the usual sanctuary straits! The moorhen babies are so homely that they're cute! (I always call them moorhens, because I can spell that word.). 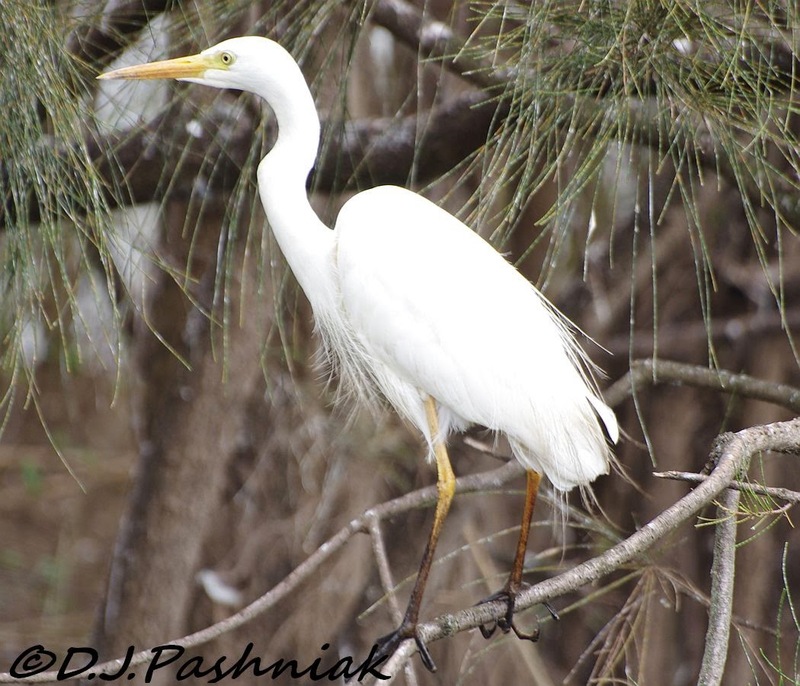 And Egrets are always wonderful to see ... A lovely portrait. 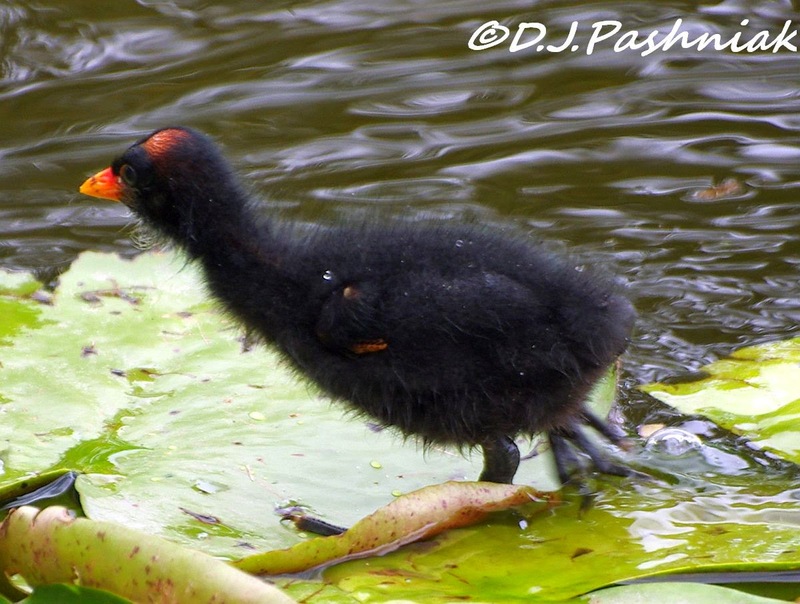 Nice shots - the moorhen chicks really are not good looking! The moorhen chicks may come close to a face only a mother could love, but it's adorable how they follow their mother so closely, and the adults are quite nice looking. Hehe, Beauty is in the eye of the beholder, but I'm with you on the babies!